Please note if you are utilizing a HPCHC Kiosk you will not be able to email Portal Support. Please call Portal Support at 719-336-6930, if you encounter any problems or have questions. 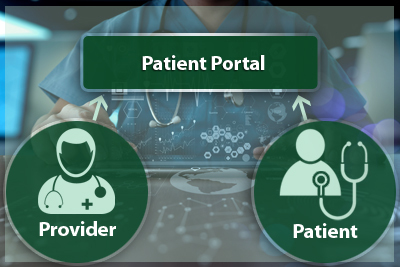 The Patient Portal is a wonderful tool to enhance private and secure communication with your provider, healthcare team, and our office. It is available 24 hours a day, 7 days a week, giving you access to your health information, ask non-emergent questions, make requests, and much more! To help increase involvement with our patient portal, we are having monthly drawings where 8 people can win a $25 gift certificate. 1. Log into the Patient Portal - if you are a new user create an account by clicking on Create An Account link above. 2. Once on the Patient Portal home page directions will be in green font to direct you to a survey. Along with the monthly drawings, for completing your survey you will receive a free prize on your next visit to High Plains Community Health Center. Once the survey is completed, your name will be entered into the drawing. Winners will be notified by phone on the first business day of every month, with the first drawing being held on August 1, 2016. One entry per patient only please. Good Luck! Ready to register? If you have an email address click on Create An Account link above or contact our office at 719-336-0261 and a team member will assist you. Once you have access to the portal you can view tutorials at any time to help you navigate the portal.